Versatile performance – An advanced combination of slim construction, lightweight fibers, and outstanding strength – the Vortex offers a versatile ballistic package. Advanced protection – The Vortex armor has been built to match the most strenuous requirements, including our in-house special threat ballistic testing. This soft ballistic is capable of stopping some of the most advanced rounds, including the 5.7 x 28 Lead Free. Each of our ballistic lines is tested beyond the NIJ Standard – in-house, with special threat requirements as deemed necessary by you, our customer. Our goal is to give you the peace-of-mind that can only come with watching your purchase be put to the test, right before your eyes. Our in-house testing facility is state of the art, and our capabilities are beyond many of the certified labs in the field today. 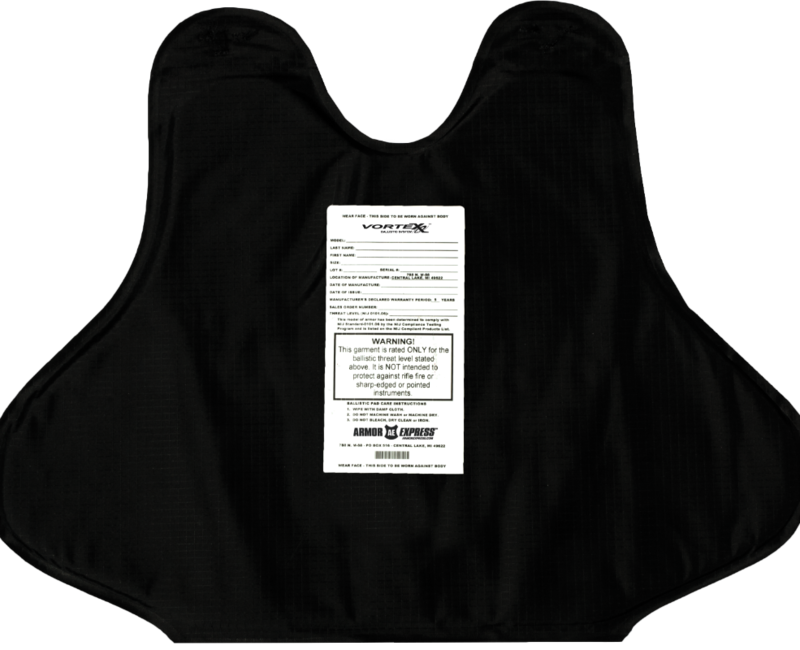 Soft armor comes protected in a seam-sealed ripstop pad cover. Each configuration is certified to the National Institute of Justice (NIJ) Standards, as well as vigorously tested in-house at our Ballistic Research Laboratory (BRL). During testing we go above and beyond the anticipated testing protocols in order to ensure that our armor products are second to none.